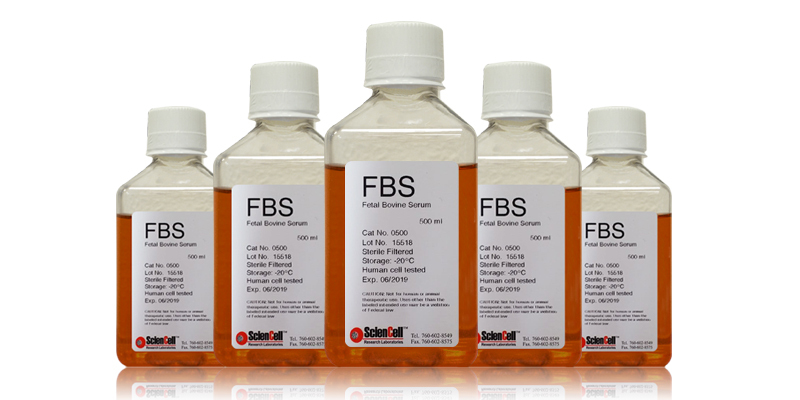 Fetal Bovine Serum (FBS) is widely used in many growth supplements and is derived from clotted whole blood aseptically collected from fetuses via cardiac puncture. Each lot is rigorously controlled and tested. It is sterile filtered and has a pH that is neutral. The FBS is tested for endotoxins and exceeds cell culture testing standards. The media has no greater than 0.625 EU/mL and is free from viral agents. Components FBS consists of a complex mixture of various sized biomolecules with concentrations of hormones. Is your FBS heat inactivated?